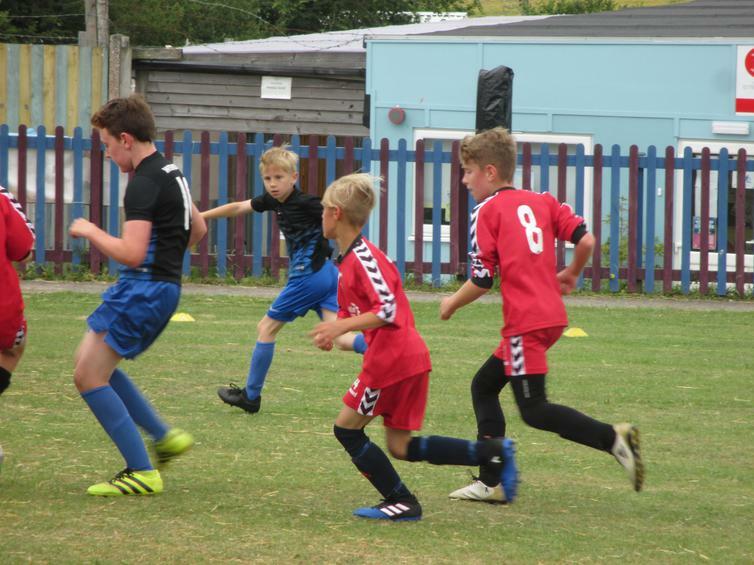 In what could be some of the children's final match for our brilliant KS2 football teams, both sides put in excellent performances in two very close games. 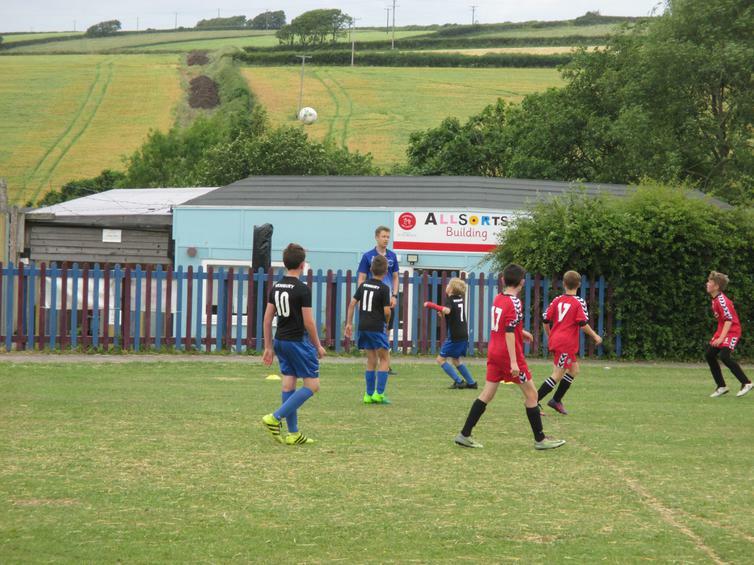 In fact, the last time we played Goosewell, the scores were very similar, with one goal between each team in both matches. 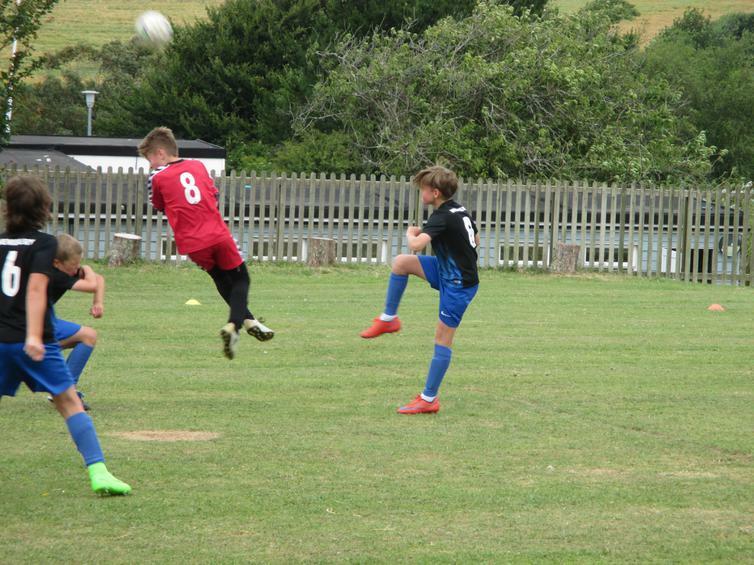 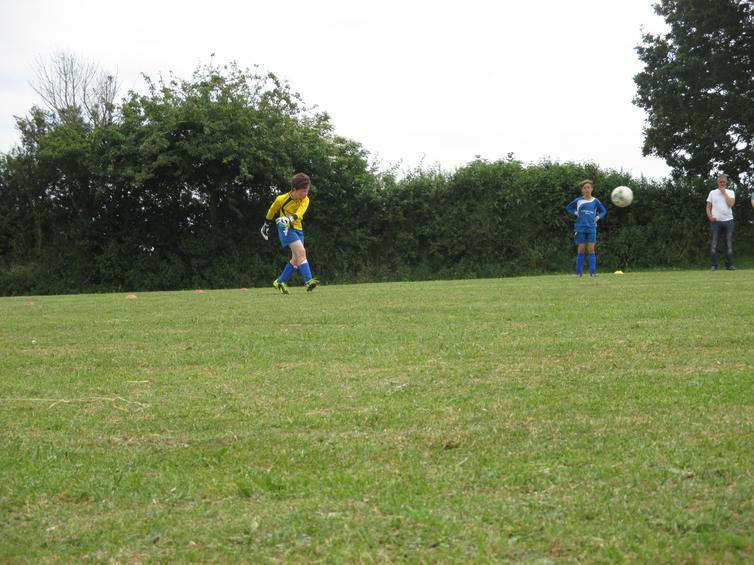 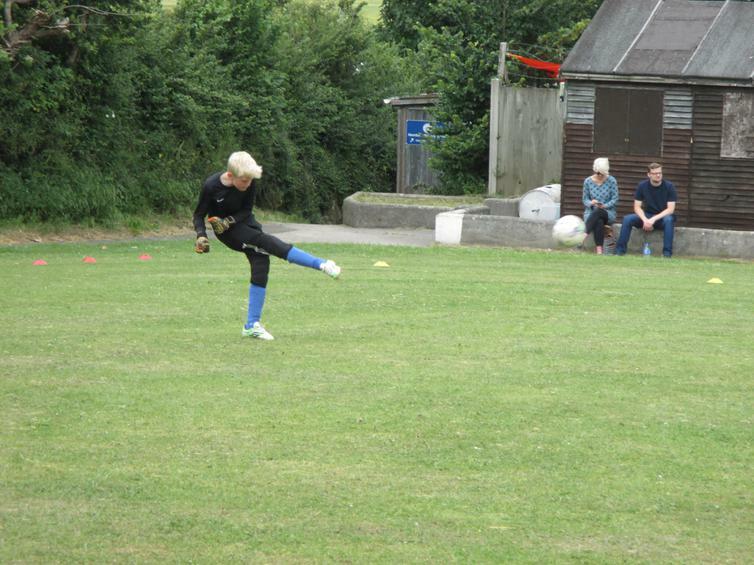 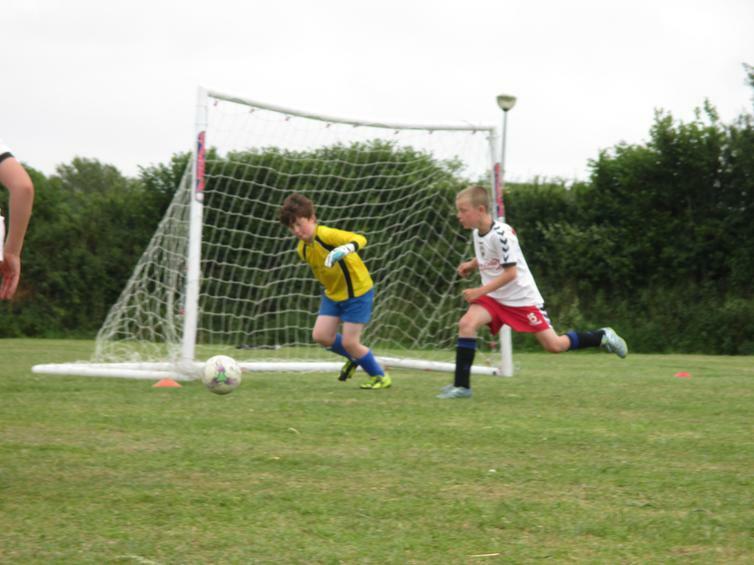 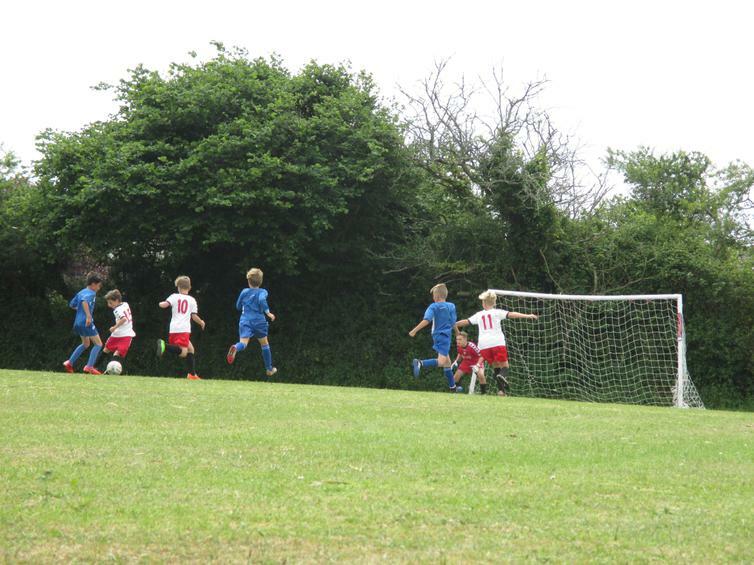 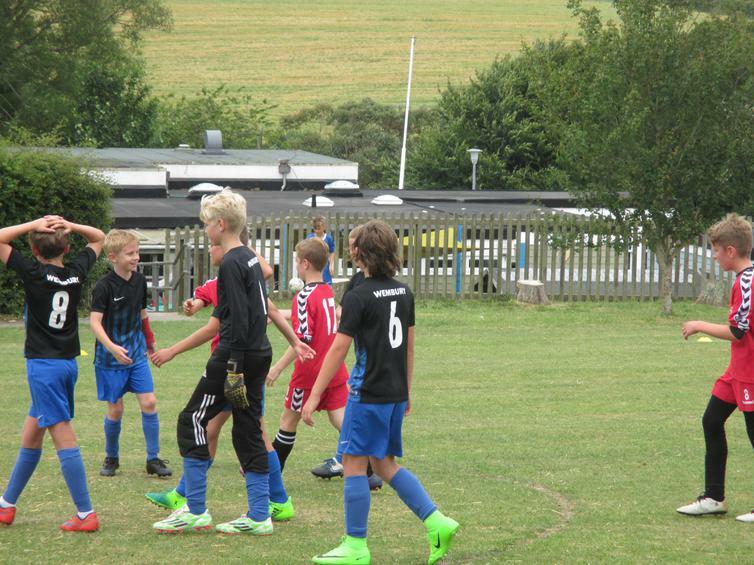 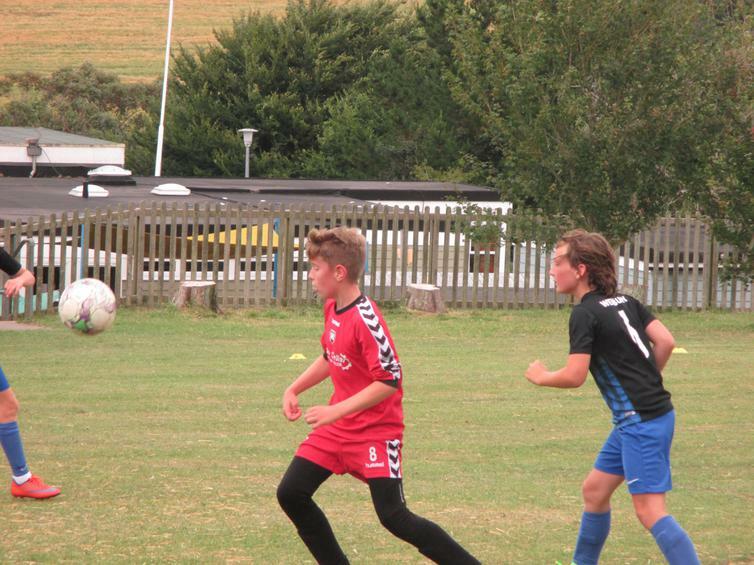 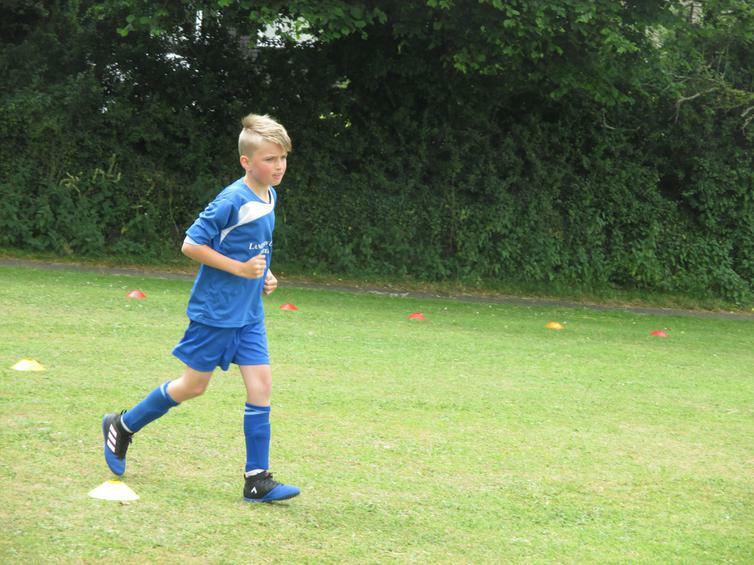 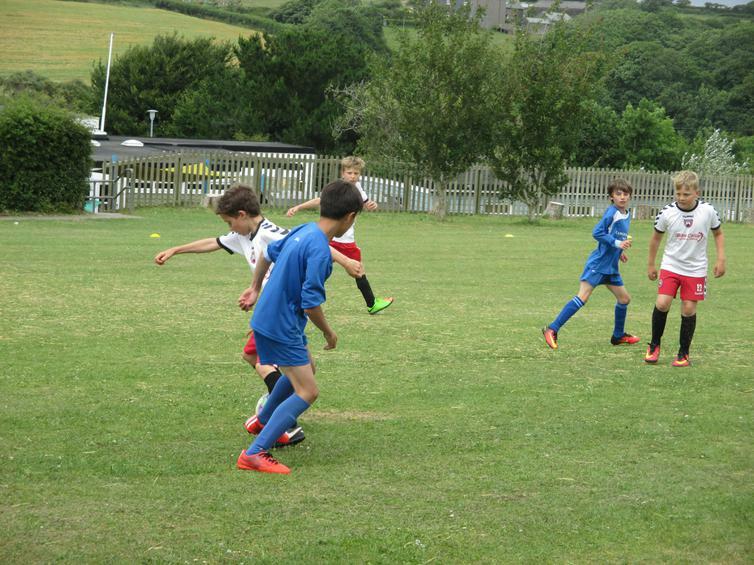 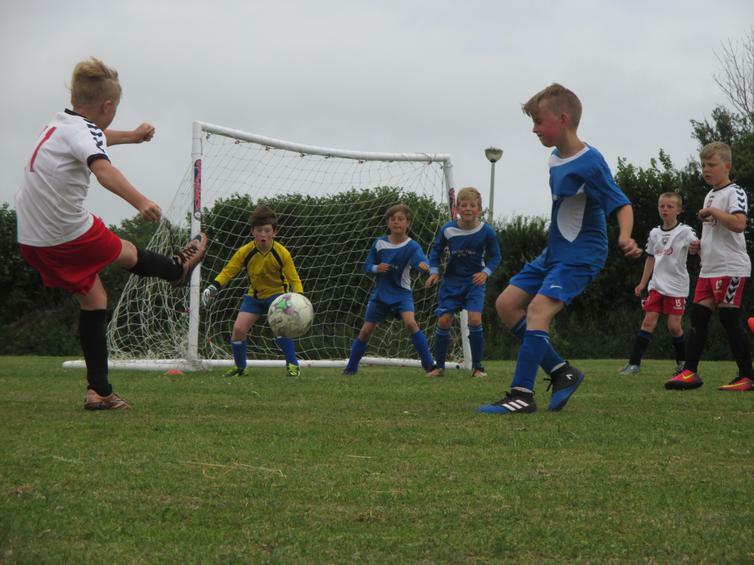 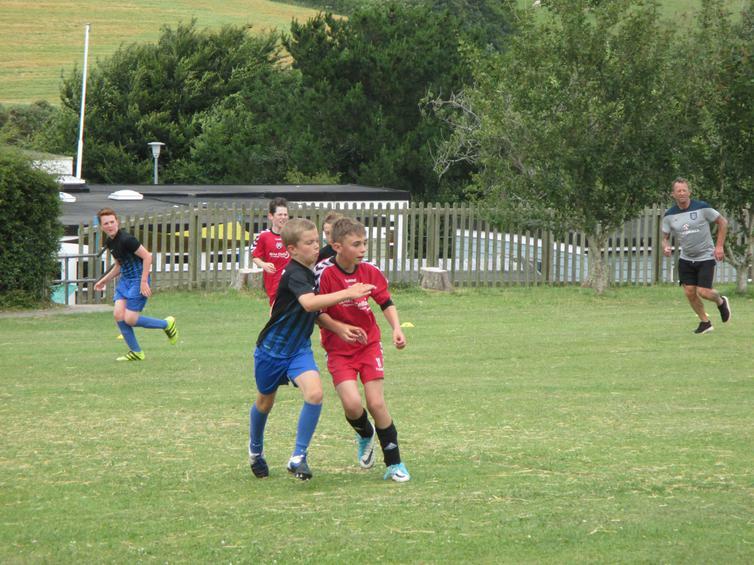 The first game ended in a 3-2 win for Wembury and the second was a 1-0 win for Goosewell. 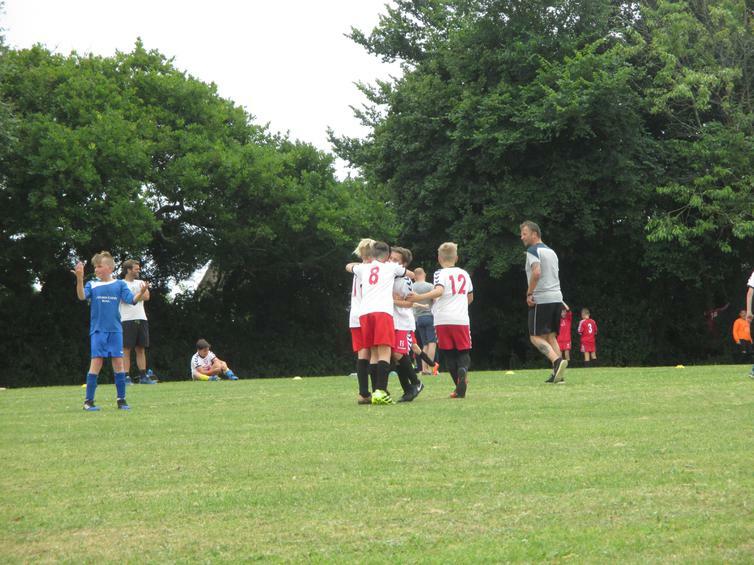 It is a great achievement for us to have found such an evenly matched team in a school that is three times as big as ours! 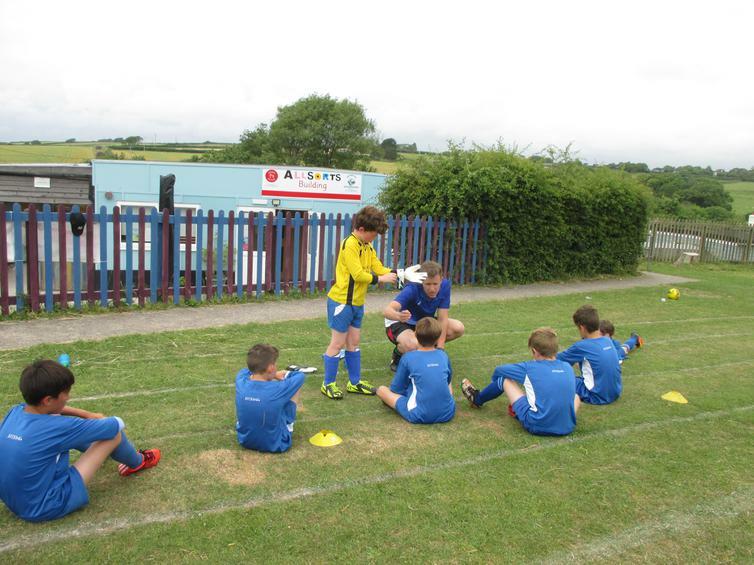 We seem to have developed a habit of performing well in competitive sport this year and over-achieving as a result. 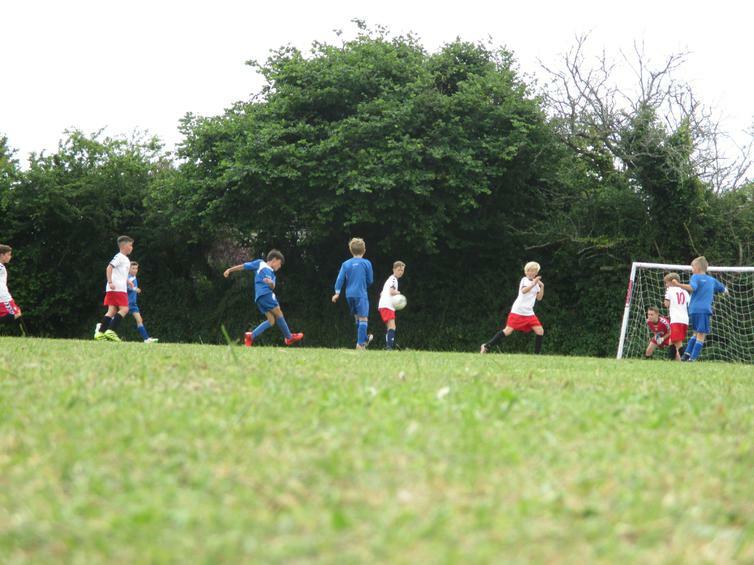 Perhaps the pride in our new sporting attire is raising the performances of the children. 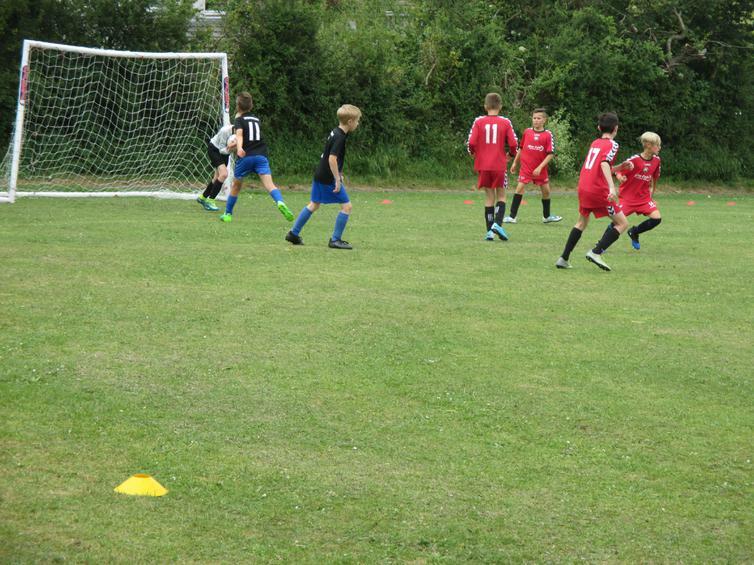 In fact, we will be receiving MORE new kit in the autumn term - watch this space! 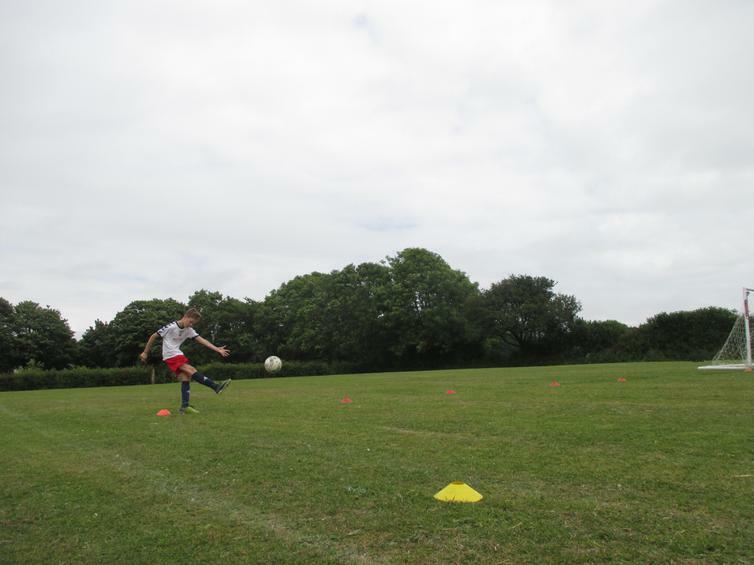 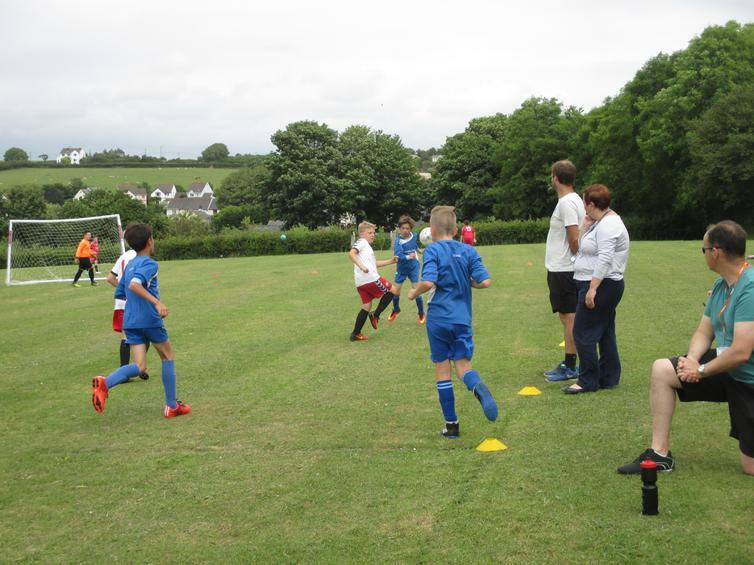 Both of our teams battled well and certainly put the Goosewell teams through their paces. 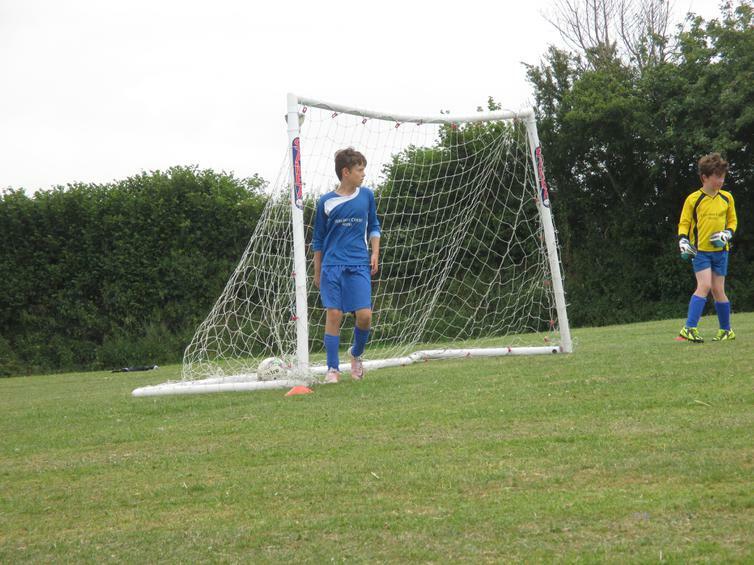 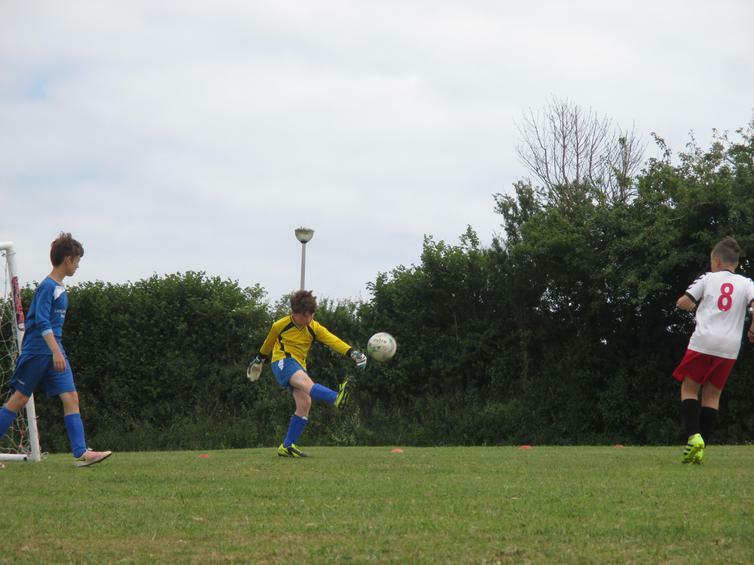 In the first game, Wembury raced to a 2-0 lead and it could have been more if it wasn’t for some excellent goalkeeping from Goosewell. 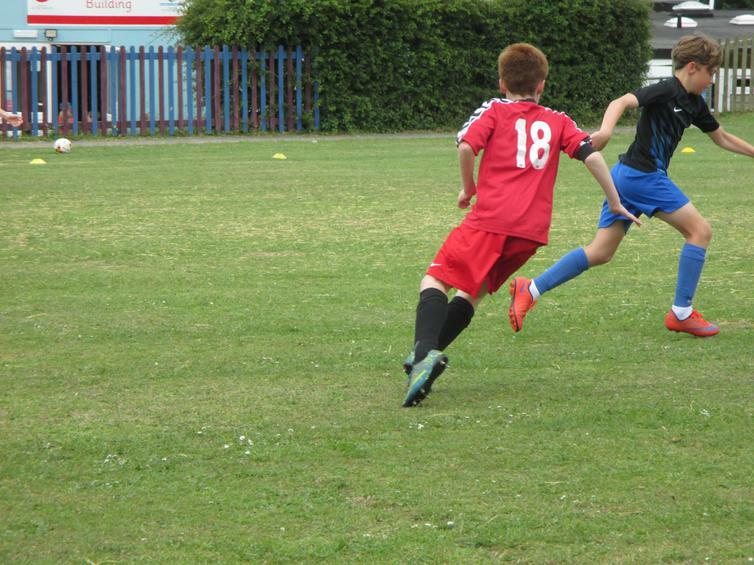 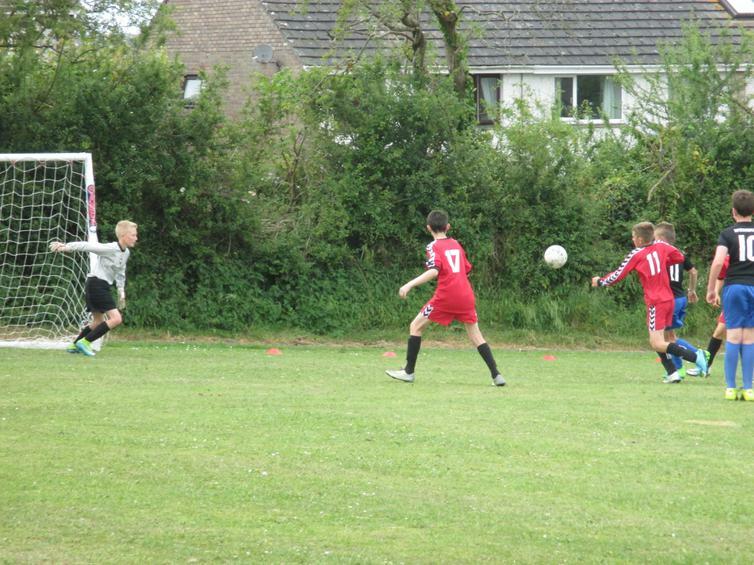 Goosewell managed to get a goal back before Aidan West completed a brilliant hat-trick to make it 3-1. 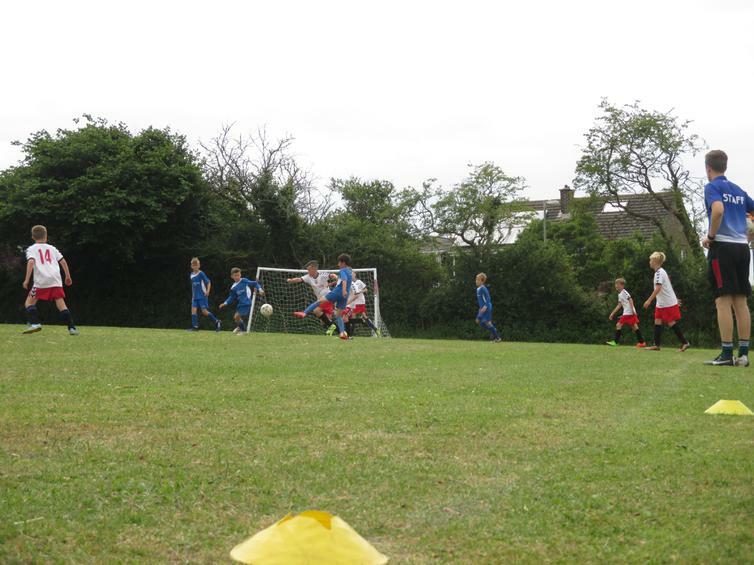 Goosewell made it a tense last 5 minutes, scoring their second, but we defended brilliantly to win the game. 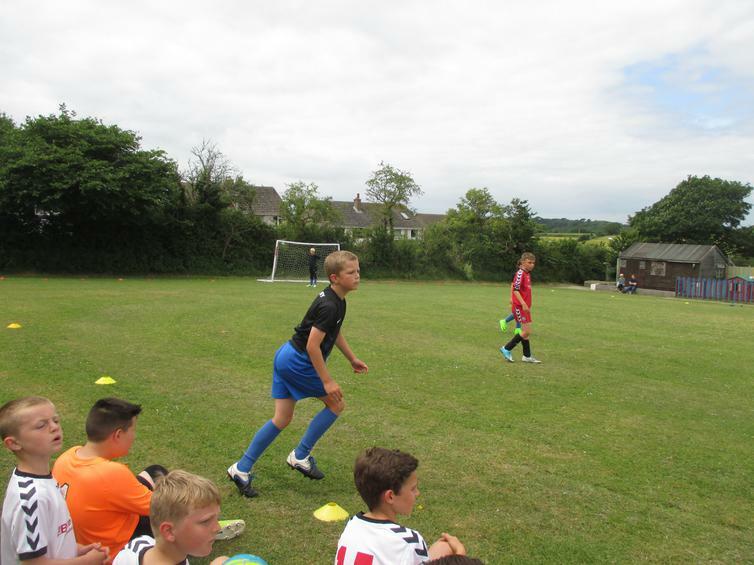 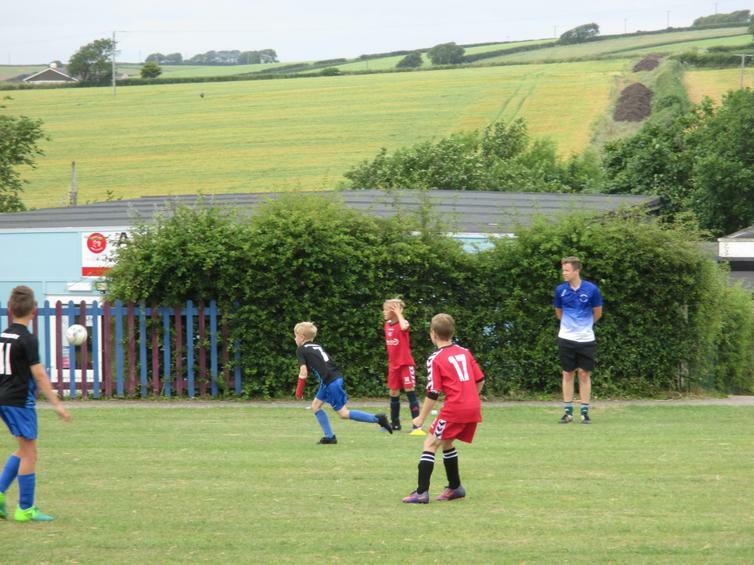 In the second game, the two teams were just as evenly matched as it took half an hour before the only goal which won the game for Goosewell. 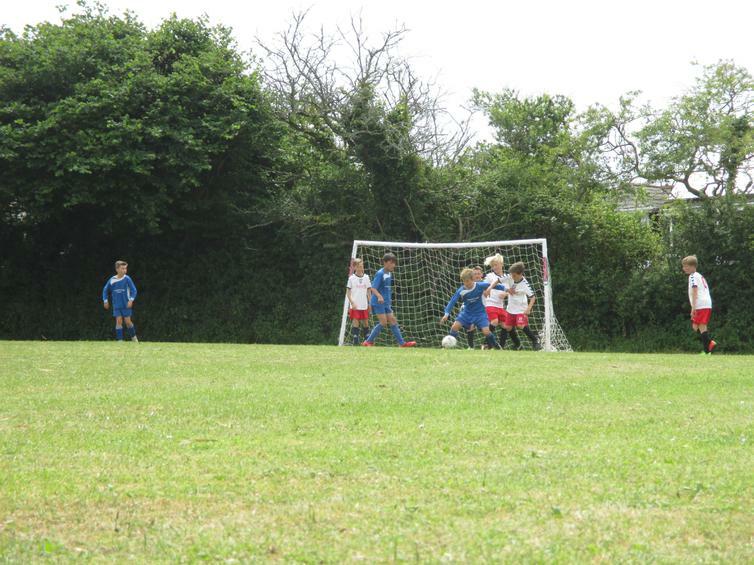 We came close to a last minute equaliser but it wasn’t to be. 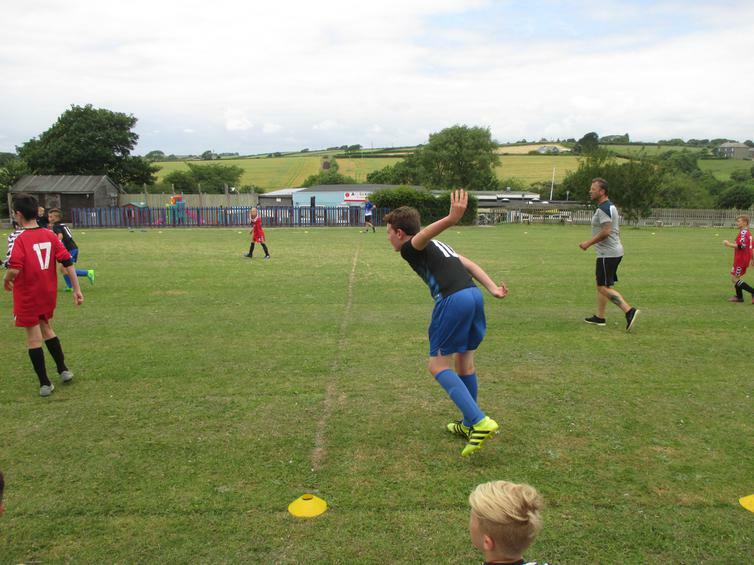 Both of our football teams have really gelled this year, developing a very good understanding of what makes a great team, with many successes. 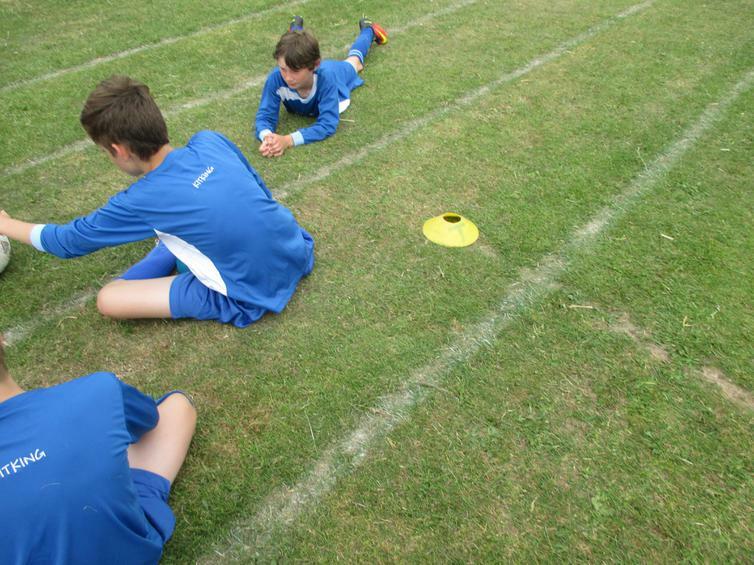 The children have also worked hard on their individual positions in order for us to build two excellent teams. 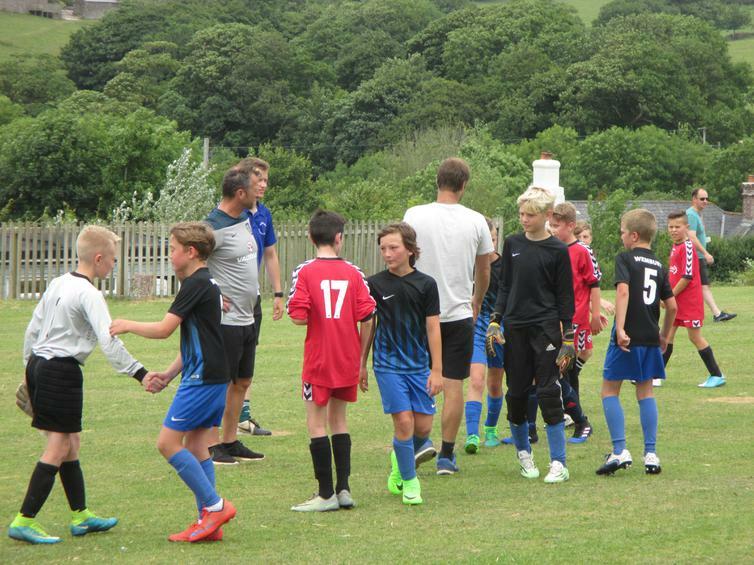 Both teams have represented the school brilliantly and we will certainly be losing some very talented players as the Year 6 children leave this term. 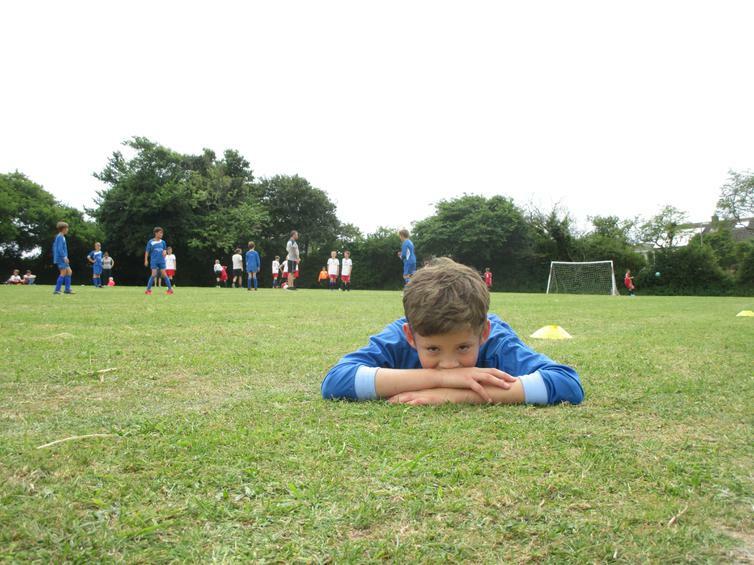 However, the Year 4 and 5 children are waiting in the wings to fill their boots! 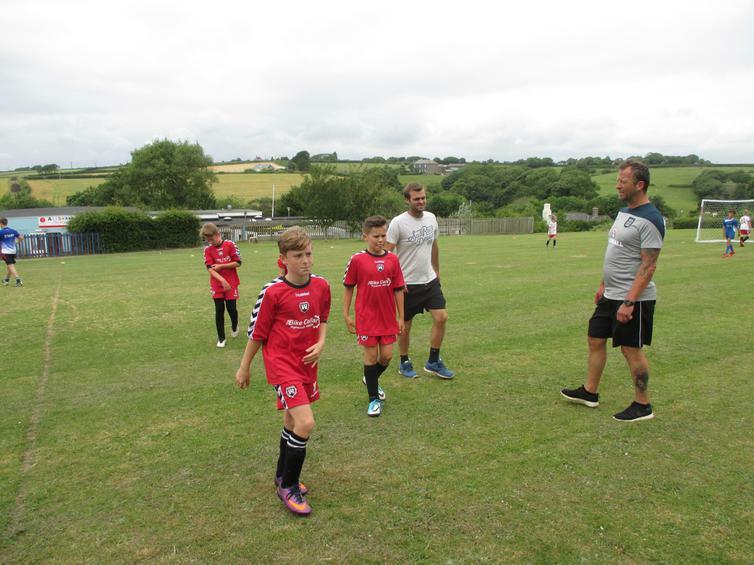 It will be great for the younger children to have even more opportunities next year in the exciting new league that we have recently set up.